In the fall of 2007, I had the pleasure of attending my high school reunion in Arizona. Though I'm sure all my classmates knew that I was gay, I had never taken a boyfriend home before. As I drove to the event with my boyfriend John Michael, I was surprised to discover I had anxiety about what they might think of me and my big gay love…even after all these years. Those feelings were the inspiration behind my short film, Reunion. 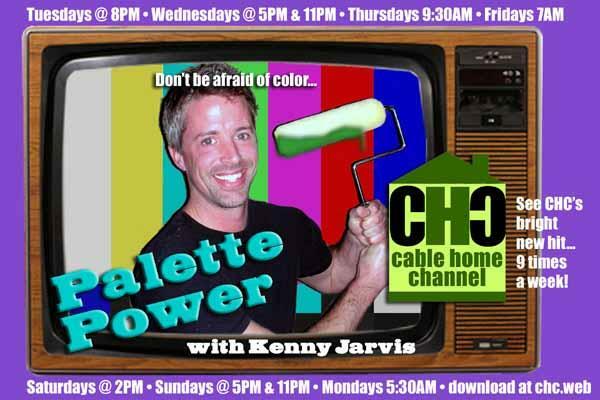 It tells the story of a gay TV decorating show personality named Kenny Jarvis who returns to his small Arizona hometown for his 20-year high school reunion, with his boyfriend B.J. in tow. Though Kenny's nervous going in, as he reconnects with his old high school friends—the geek, the burnout, the busybodies, the jock—he feels a rush of affection and acceptance that surprises and deeply moves him. This is true of my real life experience as well. Then something surprising happens involving a former classmate and Kenny finds himself in a rather tricky position. Just for the record, this part of the story totally sprang from my imagination and is not autobiographical at all. 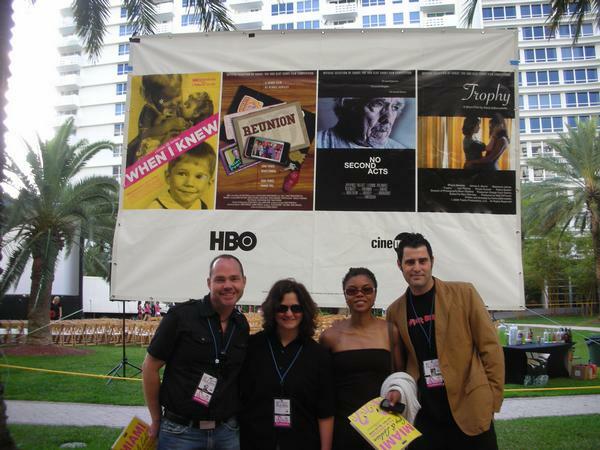 I wrote the script for Reunion in January of 2008 and entered it in HBO's Shout Gay and Lesbian Film Contest. In February, I found out I was one of three winners who would be given a budget to make their movie. In March, we cast and shot it. In April, we edited and mixed it. On May 2, it premiered at the Miami Gay and Lesbian Film Festival at a beautiful outdoor screening in a park by the beach. Whew. The experience was a whirlwind—with high points and low and everything in between—but I learned a lot and I'm extremely proud that we made it happen. I'll always be grateful to HBO for giving me the opportunity to direct for the first time. I loved it. It felt kind of like falling in love. 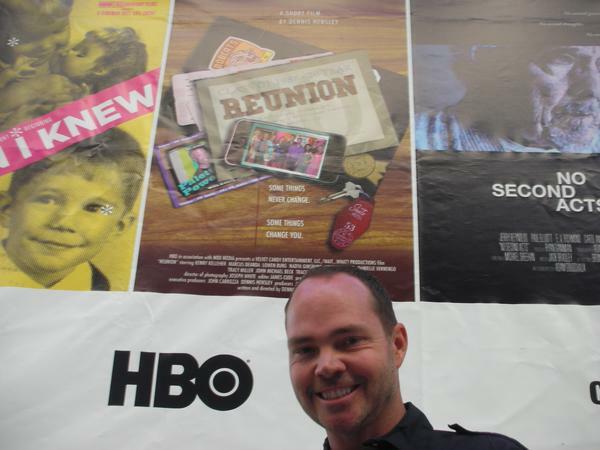 Reunion aired on HBO's on-line outlet, Cinemax-on-Demand and then on Logo's The Click List, where it's still streaming online. Here's a GALLERY of pics from the movie, the cast and crew screening and our world premiere in Miami.